George Kruis departs for Saracens. Vincent Koch (Saracens) is shown a yellow card. Joe Gray comes on for Saracens. Munster decide to make a substitution, with Alby Mathewson getting some game time. 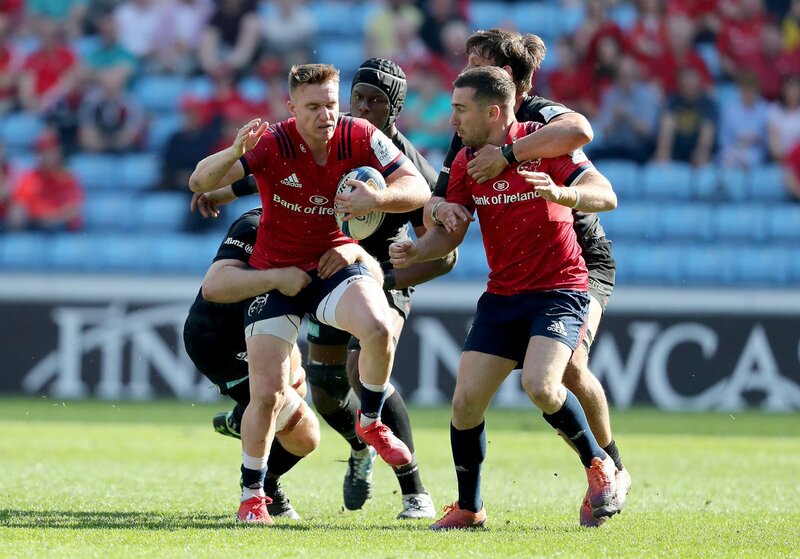 Munster decide to make a substitution, with Conor Murray being replaced. Ben Spencer played a key part in that try. Saracens are only a few metres out, surely they must score! And they do with Billy Vunipola touching down. 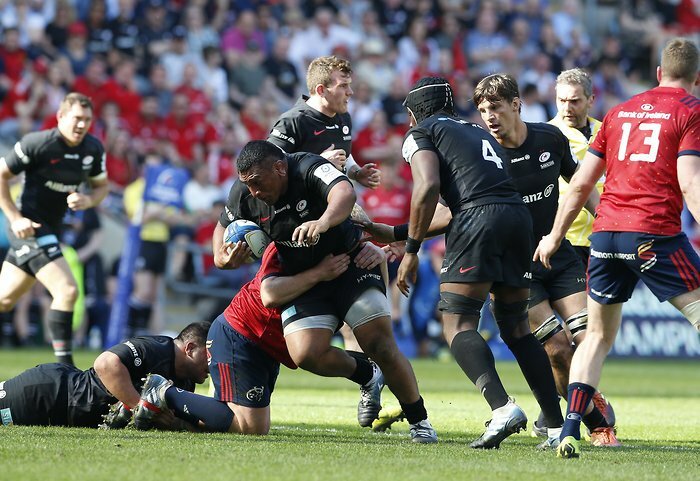 This is dangerous for the defence as Jamie George bursts through to advance the Saracens attack. A gap opened in the defence and Liam Williams took full advantage. Owen Farrell steps up to take the penalty but pulls it wide and to the right. Munster make a substitution with Arno Botha coming on. Munster make a substitution with Jack O'Donoghue coming off. JJ Hanrahan converts the try. 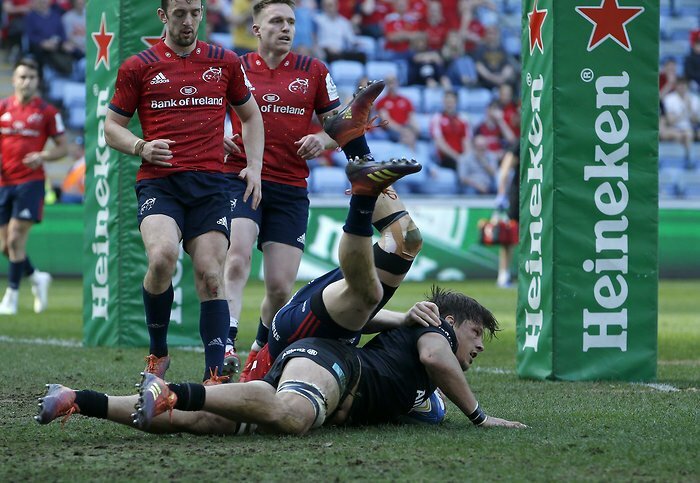 A series of passes by Munster results in a try for Darren Sweetnam. The defensive line has been broken as Darren Sweetnam goes through the gap. 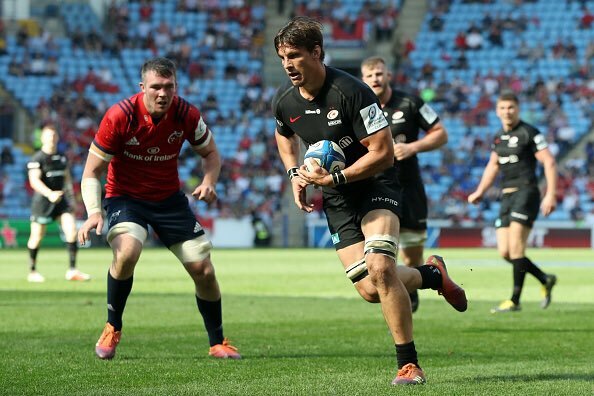 Saracens decide to make a substitution, with Vincent Koch getting some game time. Saracens decide to make a substitution, with Titi Lamositele being replaced. Owen Farrell kicks the penalty. Munster make a substitution with JJ Hanrahan coming on. Munster make a substitution with Tyler Bleyendaal coming off. Munster sub Dan Goggin comes onto the field. Mike Haley departs for Munster. Stephen Archer comes on for Munster. John Ryan leaves the field. Jean Kleyn has made 10 good tackles so far this game. Ben Spencer sets up the try. Great hands by Saracens leads to a try for Michael Rhodes. Michael Rhodes makes the break as the defence re-enacts the parting of the red sea. Jack O'Donoghue has made 10 good tackles so far this game. 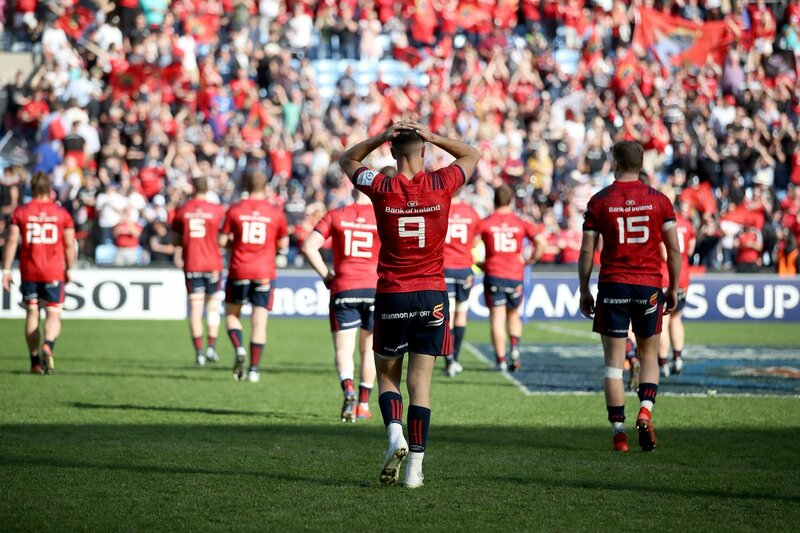 The Saracens supporters go wild as Owen Farrell successfully kicks the penalty goal. Fabulous play by Munster has led to Jean Kleyn being able to wriggle through a gap. The touch judges raise their flags as Conor Murray kicks the penalty goal. Dave Kilcoyne has made 10 good tackles so far this game. Tyler Bleyendaal adds the points for Munster. Owen Farrell does the business as his penalty goal attempt goes over. The defensive line has been broken as Ben Spencer goes through the gap. FT | We gave it our all but the English champions progress to the Champions Cup final. 77 | Koch has been sent to the bin for Sarries. SUB | Alby Mathewson replaces Conor Murray after 74 minutes. 73 | Owen Farrell converts and Saracens lead 32-16. 71 | Saracens are over for their second try through Billy Vunipola and they now lead 30-16. 67 | Owen Farrell is narrowly wide and we remain nine points behind. CON | Immaculate touchline conversion from JJ Hanrahan and we are back in it! 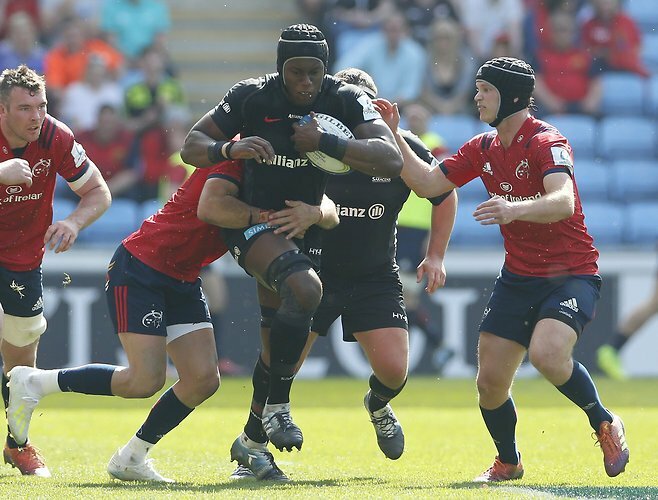 Saracens lead 25-16 after 62 minutes. SUB | JJ Hanrahan replaces Tyler Bleyendaal after 54 minutes. PEN | Owen Farrell kicks his sixth penalty and Saracens lead 25-9 after 53 minutes. 46 | Scrum penalty for Sarries, Farrell is going for it from 40m. It's over! Great start to this second half. 47 | Owen Farrell's fifth penalty gives Saracens a 22-9 lead. 46 | Referee Jerome Garces penalises Munster in the scrum and Farrell lines up his fifth penalty (19-9). 43 | The first try goes to Saracens as they cap off a strong attack with a Michael Rhodes try. Farrell converts for a 19-9 lead. SECOND HALF | Saracens get the game back underway with the English champions leading 12-9 after an absorbing first half. 41 | Replacement at half-time. HT | A ferocious battle in sweltering heat at the Ricoh. PEN | An absolute monster of a penalty from Conor Murray levels the game at 9-9 after 37 minutes. 33 | Munster force the knock-on after a really committed defensive set midway inside our half.